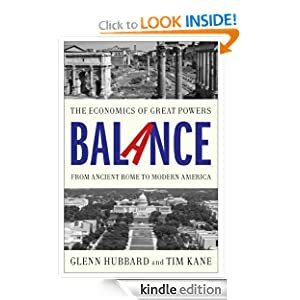 ← Is the U.S. Closer to BALANCE? Not really. Glenn and I are planning to include a chapter on California. Is the golden state a Great Power? We think so for a couple of reasons. First, if it were a country, California would rank in the top 10 in terms of raw GDP, world-leading industries (Hollywood, Silicon Valley), and even firepower thanks to military bases in San Diego alone. Second, it gets at the very nature of the USA, which is more a union of states than a nation (check the Constitution: the word nation doesn’t appear). We’ve found some good essays about the California budget crisis, but would appreciate more. Any suggestions for papers or reports with hard numbers? Our reading so far includes the failure of Governor Brown to make significant pension reform happen as of yesterday (see the LA Times) and this nice essay by Sara Glakas that pointed us to a Pew study on the “state dysfunction scale” (where California sets standard). Hoover assembled an interesting task force on the topic as well but I cannot find the link just now. Will try to update after getting your comments. Thanks! It would be interesting to go back and compare what the state budget and personal incomes of state employees would be like if those hired 30-50 years ago had served their entire careers under their original labor contract with salary levels adjusted only for in state inflation while length of service requirements and pension percentages remained unchanged. City Journal has a number of great pieces on CA. All free on their website. Governor Schwarzenegger served from 2003 to 2009 and start of year 2009; his state had debt of 42 billion dollars. I sincerely hope when you are covering California’s budget issues that you will go back minimum 10 years to provide the readers with a fair and honest review.